There seems to be a common fear among many endurance athletes that if they take any time away from their primary sport they’re doing themselves a disservice. This fear is rooted in a shared belief by many that you must spend all of your time, year round, training specifically for your sport. While there are times when this is true, I believe there’s also merit in switching gears and trying something new. Picking up, or re-engaging in another sport serves not only to provide a physical and mental break, but also to strengthen any developed weaknesses allowing you to evolve as a well-rounded athlete. Take this season to try something new and I bet you’ll be surprised what it does for your motivation and fitness. The benefits of switching gears and picking up another sport run deeper than simply helping to increase your fitness. To be “athletic” is a lifetime pursuit and one that has many facets. Part of being an athlete is staying motivated to be the best you can be. Engaging your body and mind in a secondary activity will help keep you sharp as you transition in and out of your peak and off seasons. One of the best reasons for devoting time towards something else is to increase physical gains. We all have weaknesses. No matter what it is you’re training for, that singular pursuit has made you weak in certain areas. View your secondary sport as a tool to sharpen problem areas, rather than something that’s robbing you of training time. Not only has the focus on your goals developed weaknesses, but also it has probably worn you down mentally to some degree. Day after day of intense focus on one thing can take its toll. Take the time to put your mind at ease and allow yourself a mental break. View this process as a big picture, and something that ebbs and flows as your body and mind adapt to the stresses of life and training. When you’re deciding what activity you should adopt there are a few things to think about. One of the primary considerations is to participate in a sport that will compliment your training. For instance, if you’re a great sprinter and have developed your anaerobic capacity then something that’s more aerobic and helps to strengthen your endurance base may be a great option. For many endurance athletes the focus is primarily on the lower body. This can be a great opportunity to integrate something that incorporates your upper body like rock climbing or swimming. Another factor to consider is what’s accessible. You’ll want to choose a sport that’s obtainable and readily accessible in your area. If the barrier to entry is too steep, such as expensive equipment, required in depth knowledge base, or inaccessible terrain, then you’re less likely to stick with it. Choose something that excites you and that’s close to home. 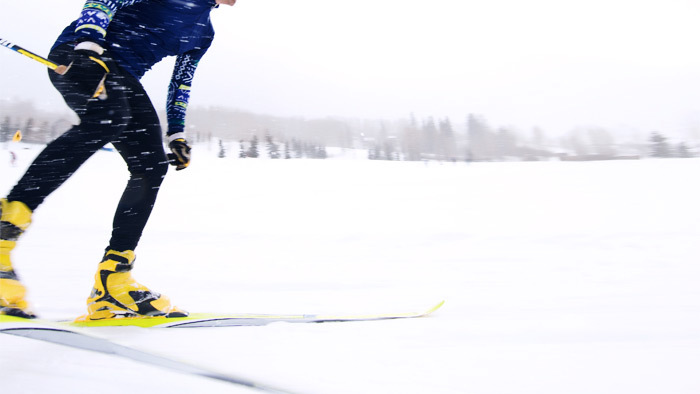 If you’re in an area where it snows then consider cross-country or backcountry skiing. If your focus is primarily cycling then maybe trail running or strength training could be a good option. Whatever you decide, make sure that it’s going to keep you engaged and will be something that enables you to move forward and progress. Remember that the goal is to provide yourself a mental and physical break, while also contributing to your overall goals. The goal of this secondary activity is not to overtake your primary sport, so you’ll need a plan as to how to properly incorporate it into your training schedule. Deciding how much time to dedicate to your activity is the first consideration. Depending on your training load, where you’re at in your overall training plan, and what your season goals are, you’ll need to decide how much energy gets shifted away from your principle sport. While this is different for everyone, I like to recommend keeping the majority of the focus on whatever it is you’re actually training for. Deciding what percentage of your time gets shifted is something that you and/or your coach should decide. It’s also important that you’re familiar with the form and equipment necessary to participate properly in your activity without injuring yourself. If you’re picking up sports like swimming, strength training, or skiing make sure you know how to execute the exercise and how to operate your equipment before you begin. Next decide how much time you’re going to dedicate to this new activity. Lay out a plan that sets a goal for when your sport is fully integrated into your training, as well as when you begin to phase it out and begin to focus fully on your primary sport once again. Having a plan in place will help you to take full advantage of your new sport, while still maintaining focus on your primary season. Lastly, find someone to keep you motivated. While this is true for all sports, it’s especially helpful when engaging in something new where the learning curve may be steep and interest can wane. This motivation may come from a friend, training partner, coach, or group, but having these people around will help push you to stay focused, motivated, and excited. If you’re looking for a way to re-ignite your training it might not have anything to do with your primary sport. I propose that the answer may lie in a new sport where you can redirect your focus and develop more fully as an athlete. This shift in activity can not only help to supplement developmental weaknesses caused from a singular focus on one activity, but also engage the mind and body to prepare you for a more focused season. Every athlete wants to be faster, stronger, and more fit and the best way to do this may be to shift a small amount of time to a secondary activity that complements your overall fitness goals.